Smart BMR Calculator lets you easily calculate your Basal Metabolic Rate, the amount of energy expended while at rest. 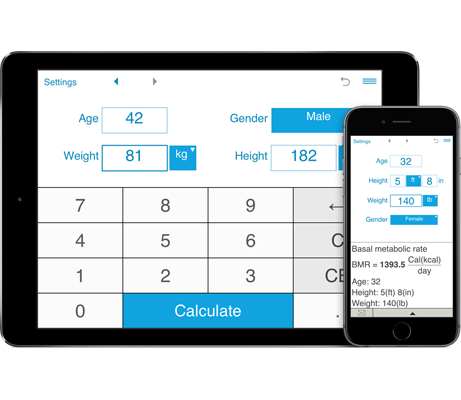 Smart BMR Calculator helps you estimate of your BMR based on your height, weight, age, and gender. You can input your weight and height using standard or metric measures. Smart BMR Calculator calculates your BMR using the newer Mifflin-St. Jeor equation (the Harris–Benedict equations revised by Mifflin and St Jeor in 1990). Smart BMR Calculator keeps calculation history. You can easily send results via email.